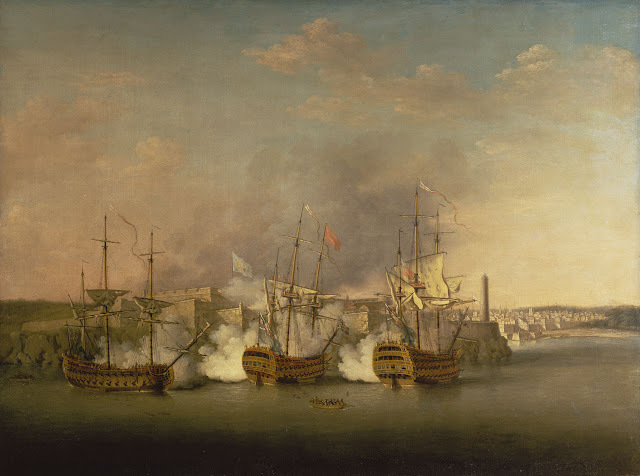 16 January 1780, Sir George Rodney, on his way to relive besieged Gibraltar, won an overwhelming victory against a smaller Spanish squadron in the “Moonlight Battle” of St Vincent. 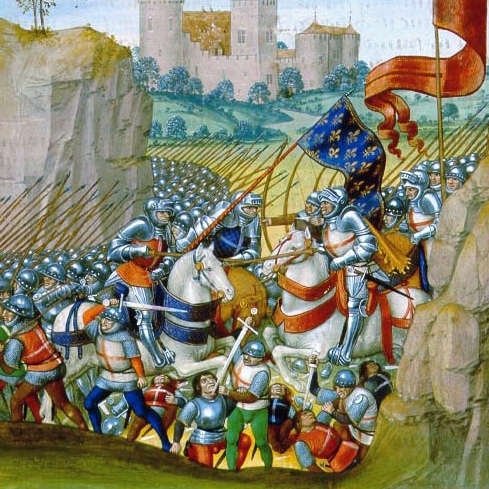 The longest siege the British Army had to endure in its history was marked by incredible hardship, gallantry and sheer bloody-mindedness of the troops, the population of the Rock and the commanding general George Augustus Eliott, resisting bombardment, exposure and several direct assaults by the Spanish and French. 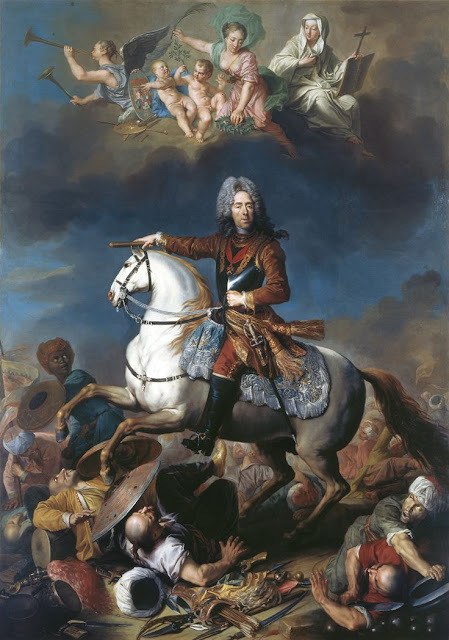 The siege of Gibraltar began immediately after Spain’s declaration of war in June 1779 and when winter came, things became almost unbearable on the Rock. 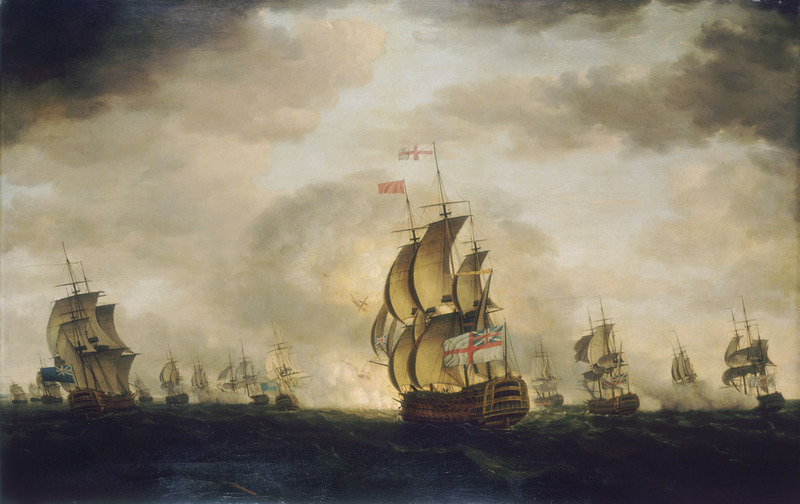 An annus mirabilis, a wonderful year, like there was back in the Seven Years’ War for Britain did not come in 1780 either, but at least the Royal Navy had awakened from its shock-induced paralysis. Since Spanish forces were bound at the Rock and not free to participate in a planned invasion of England, Rodney had received the command of a squadron of 22 ships-of-the-line, ready to sail for the Mediterranean along with a convoy to relief besieged Gibraltar. Their first success was, ironically enough, the capture of a Spanish convoy in the Atlantic a thousand miles west of Vigo. Now, both the Spanish blockading fleet in Cadiz as well the Spanish Atlantic fleet were on the alert, trying to intercept Rodney’s squadron before he reached the Rock. The 9 ships-of-the-line that had blockaded Gibraltar before were unlucky enough to meet the remaining 18 British battleships first. Around two o’clock in the afternoon on January 16th off Cape St Vincent, Rodney’s flag Sandwich (90) signalled “General Chase” to the squadron while the completely outgunned Spanish desperately tried to reach the safety of Cadiz. They stood no chance against the recently careened and coppered hulls of the British ships-of-the-line. 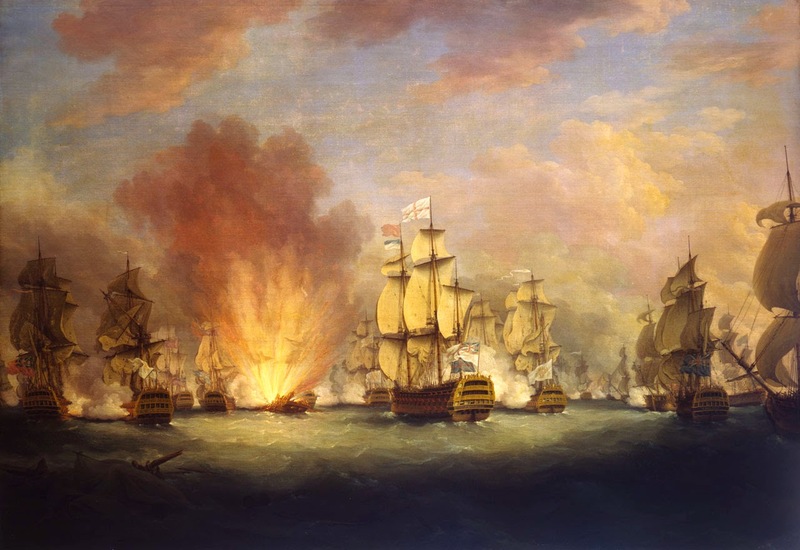 Two hours later, “Santo Domingo” (70) exploded under the concentrated fire of four of her enemies and while darkness fell, one ship after the other was captured in single combat by the British in a running battle that lasted all night until Rodney signalled to break off the action due to heavy weather and the dangerous coastline. Only “San Augustín” and “San Lorenzo” made it to Cadiz and safety. 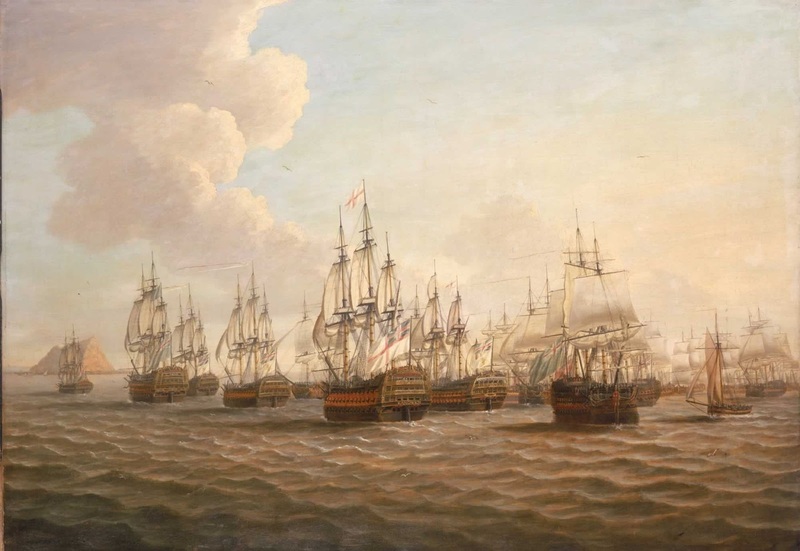 The harassed British had no success of this scale to book since the Battle of Quiberon Bay in 1759. Even if two Spanish crews could later overwhelm their captors and sail their ships back home. Or they were just driven aground by their prize crews, because they were damaged beyond repair. Rodney was actually on sick leave in his bunk during the whole action, but whatever the exact fate of “San Julián” and “San Eugenio” was, even with four enemy sail-of-the-line captured and one destroyed without losses of his own, he had won a major victory. The convoy arrived in Gibraltar on 19 January and even if the Rock had to hold out for three more years, the boost of morale was enormous, there and back home in England, where few good news from the American War had arrived since the conflict began in 1776. Rodney himself and his squadron sailed on to the West Indies and Chesapeake Bay to fight the French.